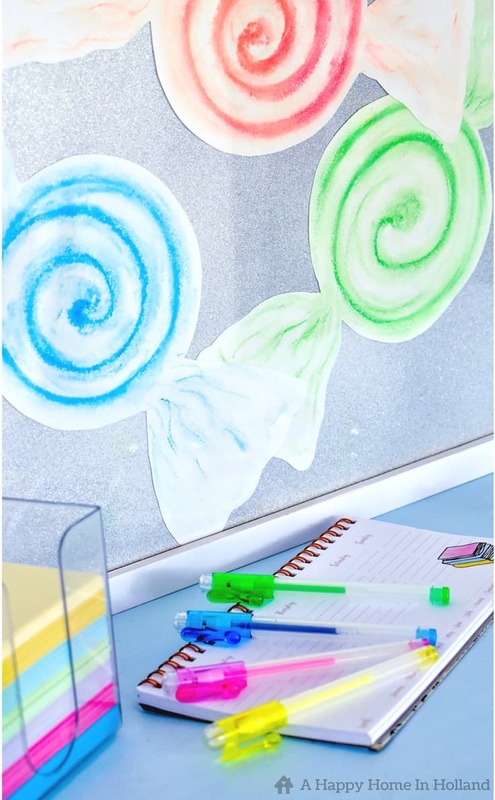 This beautiful DIY Candy Swirl Wall Art is easier to do than you would think. It used colored pastel chalks – you really don’t even to be artistic to create a piece of wall art like this. Hello Kenarry friends, it’s Sam here from A Happy Home in Holland and this month I wanted to share this really fun wall art idea with you. 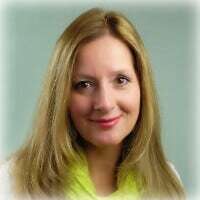 Have you ever used pastel chalks before? If not, you really should. 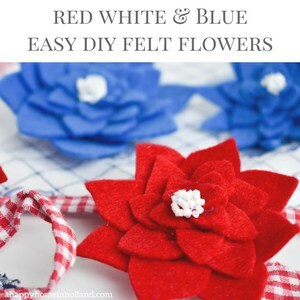 They are pretty inexpensive and are very easy to use (this project is also simple enough for kids to do). 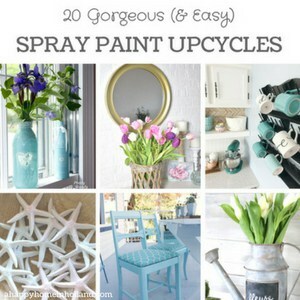 This wall art is perfect for beginners. 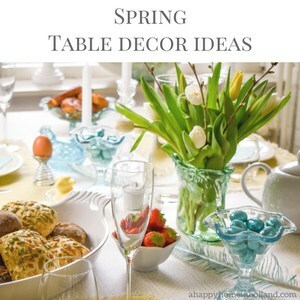 It’s super easy – and you’ll have a sweet and cheery wall art in no time at all. 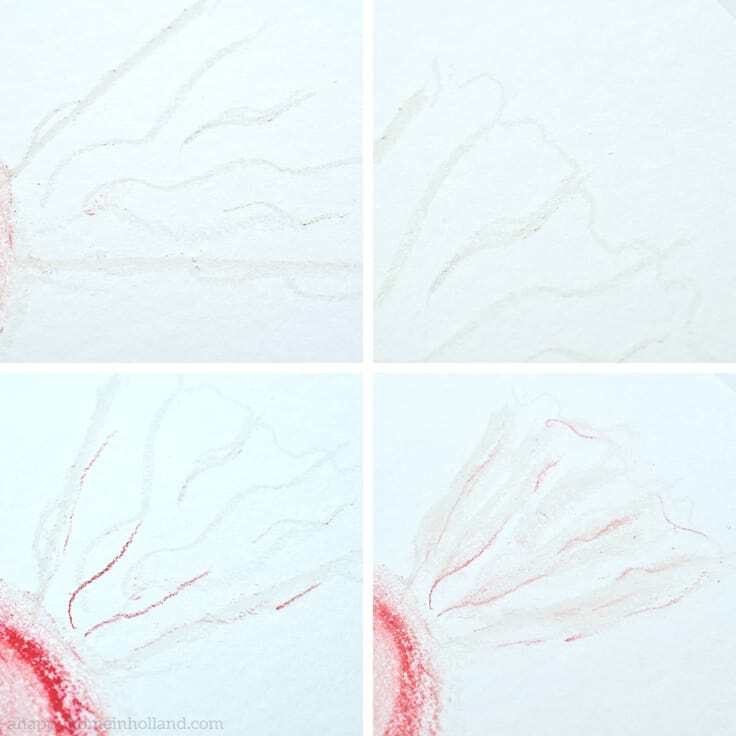 Begin with a white pastel chalk and create a big swirl in the centre of the paper. I made my swirls about 3″ in diameter but you can make them any size you want. Make sure you leave enough room either side of it on the paper that you have enough room to draw your wrappers. 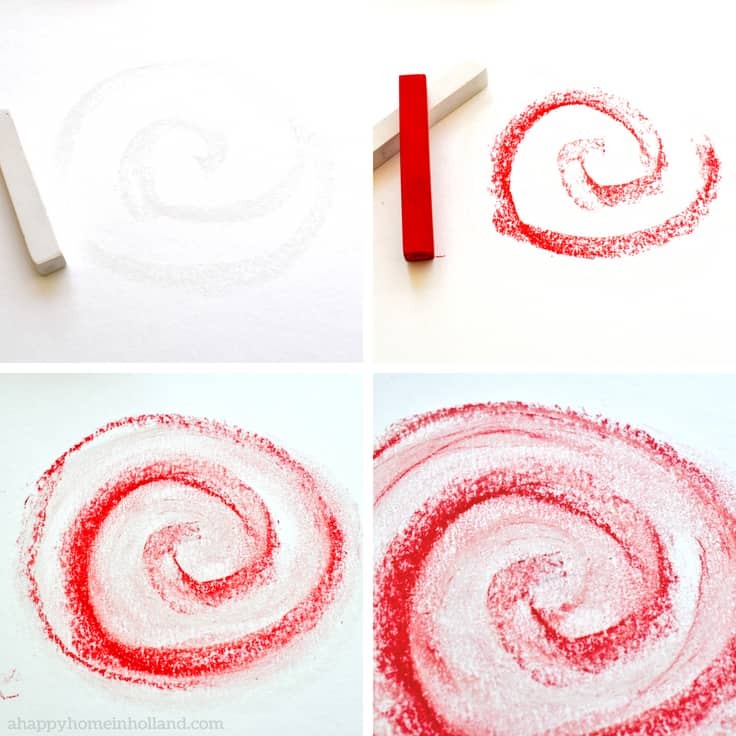 Next, take a colored pastel chalk and draw another swirl next to the white swirl. Now using your finger, in a circular motion following the swirl pattern, rub the chalk to blend it a little. See how it looks and if needed you can thicken your lines repeating the same steps. To draw the wrappers, take your white colored chalk pastel and draw two wavy angled lines to form a V shape (in the pic below I initially did them too straight but corrected them after). Add more wavy lines in the middle of the two lines then add a few sketchy curved lines on the end to create the triangle shape. Take your colored pastel chalk and add in some more sketchy lines then blend in an outward motion with your finger. Take your white chalk again and some highlight lines. Again blend and if needed add a few more colored lines until you are happy with the results. For the best results, be careful not to make your lines too thick and keep it light and a bit sketchy. 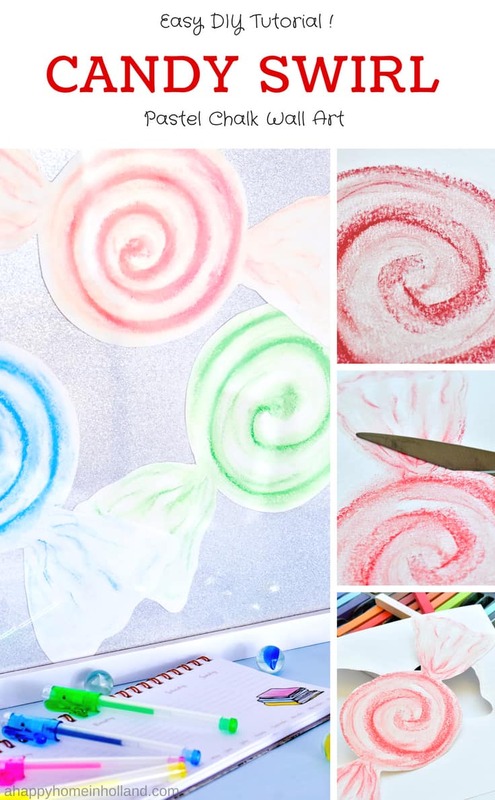 Using a sharp pair of scissors, simply cut out your candy shape. 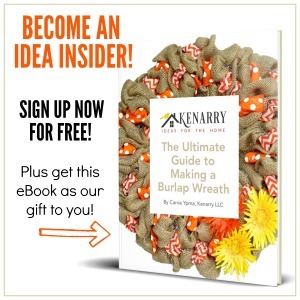 It doesn’t have to be perfect and it’s even better if you make it a little wavy and uneven. 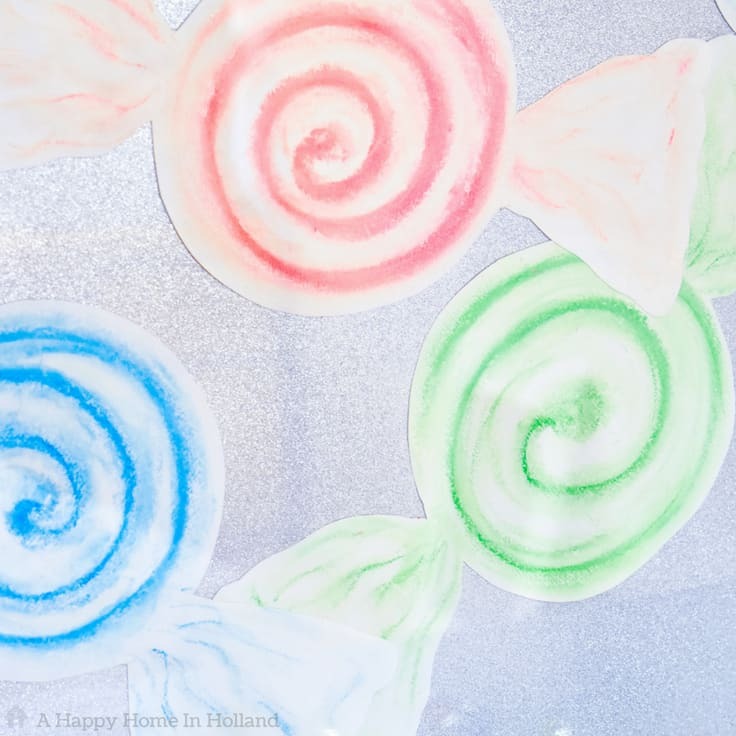 Repeat the above steps using different colors to make more pieces of candy. For mine, I just flipped over the insert that came with the picture frame so that I had a plain white background. I then sprayed this with some silver glitter spray. As I said before, it’s totally fine just to go ahead and use a plain colored piece of paper for the background. I only used the glitter because I already had it at home and I didn’t want to have to go out and specially buy something. You don’t have to do this step, but if you are putting it under a glass frame I would advise that you do seal it as the chalk dust can get a little bit messy on the glass. I didn’t have a proper fixative spray so I used hairspray. If you do use fixative or hairspray be sure to test it first as it can change the colour of the chalk pastels. With mine, it intensified all the colors and actually turned the pink I was using into a red color. I used a light coating of adhesive spray on the back and stuck them into place on the backing paper. I found that it was very easy to use the adhesive spray as I was able to reposition them without getting into a sticky mess. If you don’t have adhesive spray then go ahead and use normal paper glue but just make sure that you don’t use too much as it may wrinkle your artwork. 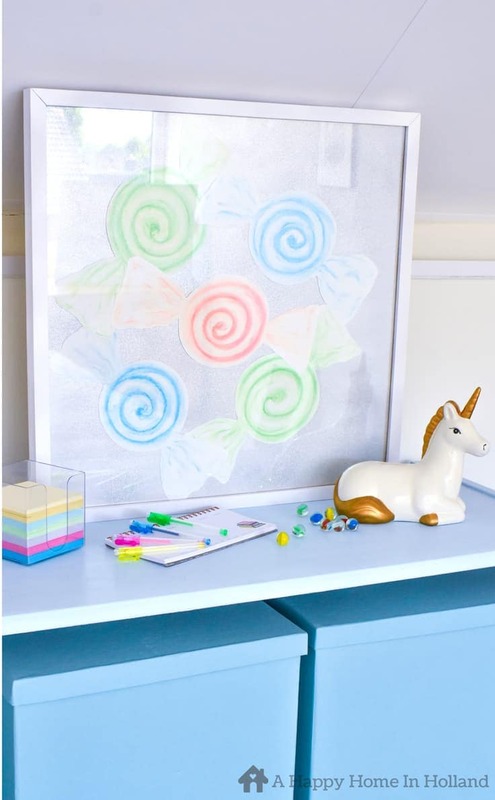 Once your glue has dried you can put it into your frame and find the perfect spot to hang your DIY Candy Swirl Art Work. 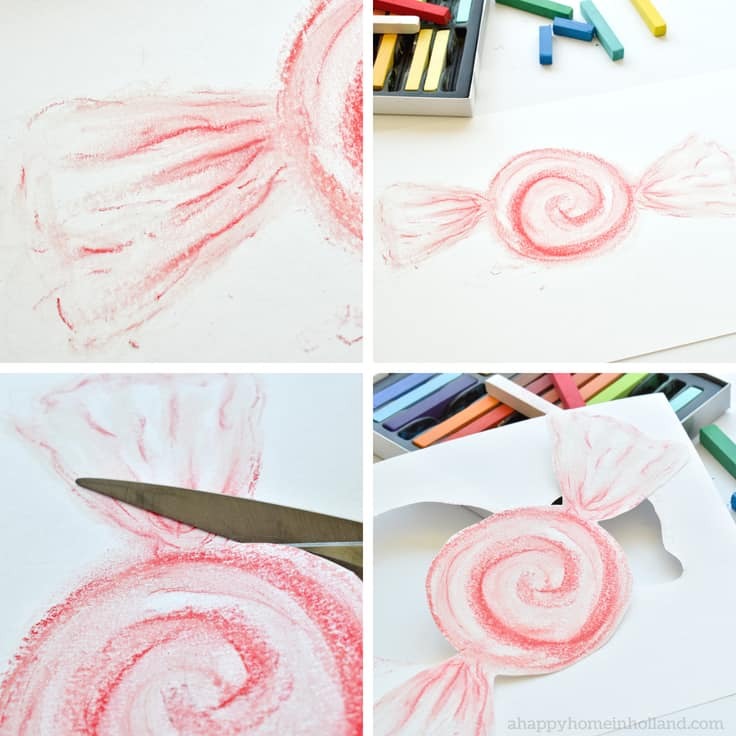 As you can see by this tutorial, creating artwork using pastel chalks is not so hard and a can be a lot of fun!